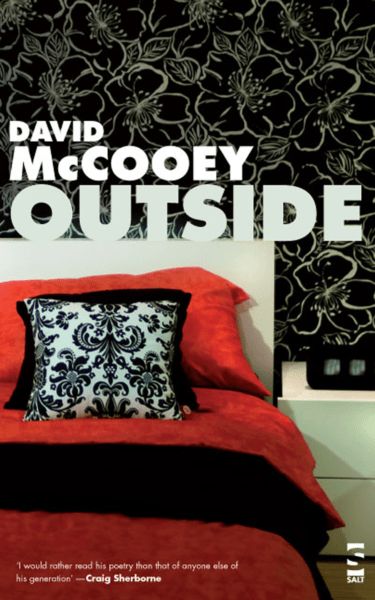 Best known as a prize-winning poet and academic, David McCooey is also a critic, editor, musician and sound artist. 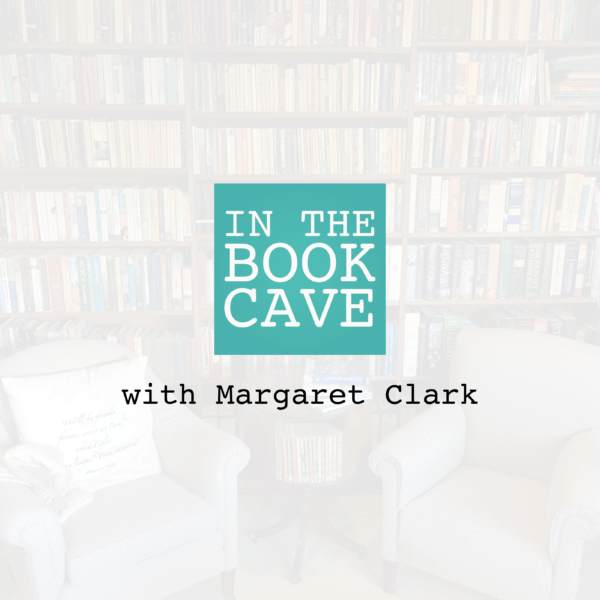 Described as having ‘a remarkable power to draw the reader in’ David was a fascinating guest In the Book Cave. Speaking about poetry and its power, David explains why poetry remains important to so many people in the modern world. Here is a writer who understands the power of words and how poetry can help us to make sense of our lives. 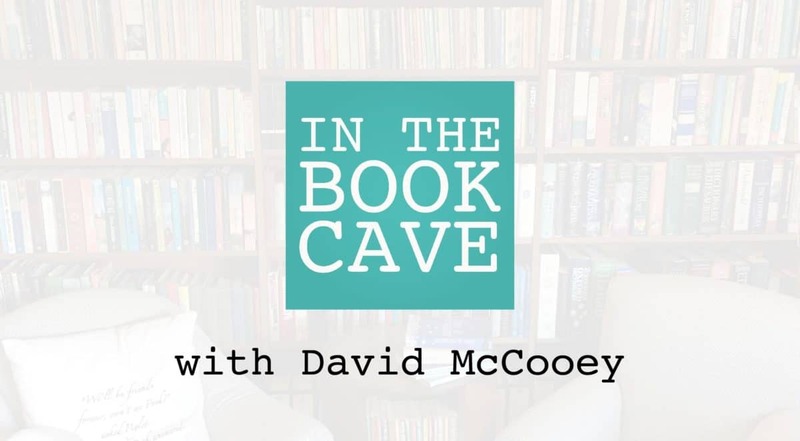 [0:07] Hello I’m Jennifer kloester and today we’re in the book cave with David mccooey. David welcome to the book cave wonderful to have you here. them and about Poetry in general to start off you actually. organisation that it does things like car tries to support writers hazard have been there have been. Way to prison by Chris raging things like that and pen. [1:28] And a Macquarie University got together because around the middle of thumb. you know it from Patrick White down it was you know kind of seem to be difficult to get. American a news a literary agent got together and. They basically started it I came on board fairly soon after and as one of the section editors and then I became the deputy general editor. And Nick basically put together a team of section editors so looking at 7 slices of time. 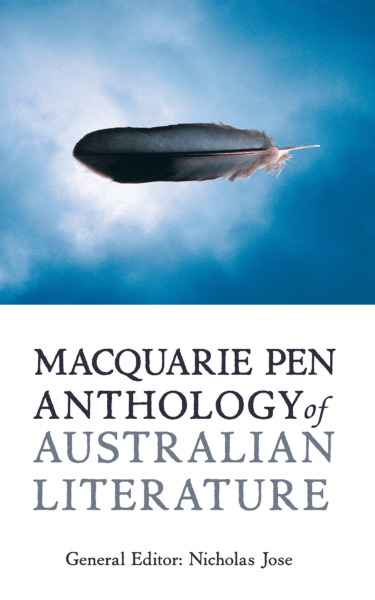 Anthology of Australian literature that really covers from the earliest times to. SAS short stories we had a few exits from plays plays seem to be it was nothing to worry about the thing to be more problematic. 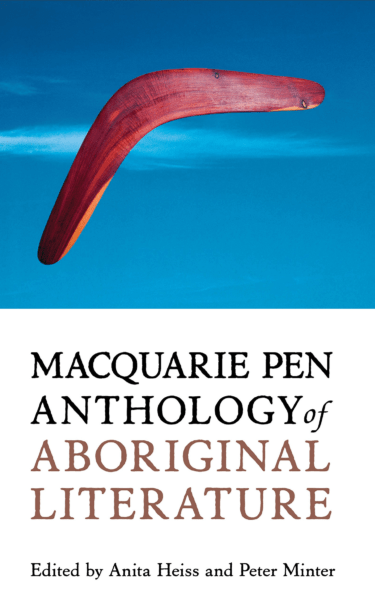 And we try to be as inclusive as inclusive as possible there is a considerable proportion of indigenous writers in there and that caused something are there. came out in support of the Anthology she launched it in Washington I think that was a big deal it was as well as try to keep Australian writing printed and introducing it to. I think it’s with your fantastic so ok so you did that then. We move into poetry evil zero and Pole to the quite some time bit too long but what is it about poetry that draws you. Sure no not always I don’t know that’s true what is it about poetry that’s a really good question. I’m gonna Sydney never ridden a book-length poa so my poems tend to be short one page type of classic sort of lyric poem size poem. you know that’s with anything really but particularly something like poetry you get sort of 90% of the work done in the First. 10% of the time in the last 10% of the work takes 90% of the time ok so what makes a poem. poetry formed in stanzas or vs then you’ve obviously got your free pros. Not much punctuation sort of column form and then you’ve got. Haikus you know a few one liners. At the longer form with you know to learn standards and then you just got. being an academic in literary studies I probably should be able to answer that question but. Like the point you made it is is an excellent one which is that poetry is incredibly various and it hasn’t extraordinarily long history. And and of course even what is a poem is is is up for debate so for instance you know if you if you look at Frankston’s say it indigenous song. context Richard is originally used is it poetry or not. [7:24] Possibly but within within the caller you know Western civilization culture. You know it still hasn’t incredibly long history. never a with your use of the wiggle in your choice of when because in fact you are at you have fewer words when compared with say a prose novel on the whole the poetry is really about finding. [8:29] The exactly right word for. The purpose of the poem is that I think I’m looking at it we talking about lyric poetry and then of course there is. we mean they ride no that’s no no no don’t write poetry without. So that’s a very different kind and much capacious we’re still incredibly original and playful and then you have narrative so. around the early 19th century when Walter Scott gives up writing narrative verse and starts writing novels and the novel takes over where narrative verse I never understood their place. yes I think you could say they were alone in the novel of course has a has a longer history than you know but I think you could say that still. I’m in question about poetry today is is it’s it’s. for song lyrics yes that mean they didn’t say. position on on that I thought it was. Interesting that they chose someone of that generation I think you certainly has. A terrific body of work behind him I think. 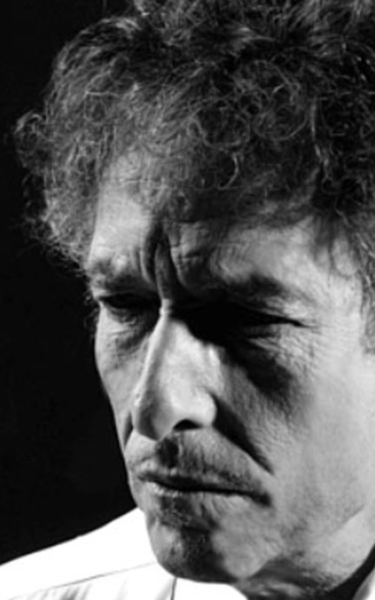 [11:12] You know if you look at the classic Euro 44 Bob Dylan you know around the mid-sixties the Highway 61 Revisited blonde on blonde the era they are absolutely. Well I don’t know I love that ok Seamus Heaney also won the Nobel Prize for literature. He’s not realise you so he talks about poetry is making an order. Answer both being itself and for being a help what do you think he meant. [11:53] Well I think possibly. [11:56] He’s talking about that end of tension between poetry as as a kind of thing in itself just is almost like pure. [12:05] Abstraction like an abstract artwork or a piece of music which is about 4 mm and order and the play of things whether that’s language or paint or sound. But poetry has the added complexity of. instrumental value which is to say that it can get things done that can make things change in the world that it has political import and obviously for someone like him. comment an intervention in the actual politics of the day. [13:12] Ok but I think when he says to help I think what he meant but possibly means I don’t know the context of the. That comment is that poetry like any kind of cultural formation is. with anything else might be a bit like going to walking you know a national park or something but it’s not the same it’s it’s own kind of experience. 2001 A Space Odyssey Eyes Wide Shut Full Metal Jacket A Clockwork Orange I actually found that poem quite disturbing as you must have found A Clockwork Orange disturbing yes in it’s at the poem. [14:28] Very cleverly I think trace is your journey over many years with that particular film do you want to tell us about that yeah I think it’s called a personal history of A Clockwork Orange. And I suppose in part I mean it is part of a bigger sequence as you say about the films of Stanley Kubrick. is that day is it you can have a very long relationship with them so for me it began with that particular film in the early 70s when I was child at them from Kmart 71 I remember being sort of. as a teenager saw it with a bunch of older people as hanging around at the time and so the film. [16:01] Last it was clearly interesting from filmic I feel like my interview it also had a place in the wider culture which I think we’ve seen through the kind of relationship that I as an individual had with it. [16:19] It is a disturbing film as well as a very stylish one and at the time I think it raised all sorts of issues about. You know Violet the portrayal of violence in in film and so forth and fats are for many years it was never shown in the UK because. basho poem does a great job of conveying a lot of the. Different real different reactions to the film which I think of kind of a visitor universality perhaps. Shane in Albany and I found that very yum visceral you know so very effective so that it’s that use of words and we’ve talked about this before in the book cave about how it is that. [17:23] One person can take the same in a few hundred thousand words the same 26 letters of the alphabet and use them to invoke. Imagery in motion to create understanding I think an insight. you know I think that’s an interesting so when you’re coming to write your poetry how do you approach it I mean. Do you have a sort of it sent to the kind of words are going to use or do they come to tell us about that. Topic is it because I think as a lot of writers would say. You know a lot of is kind of intuitive and you don’t want to overanalyze it having said that though I don’t really buy into. [18:22] The idea of inspiration all that much to be honest I don’t particularly like Mr furcata re theories of writing but I think I think it has there are some very. Set a Fire what’s the weather news. [18:39] Did they just everyday things you can do practically that’s right to make yourself right but one of the things you mentioned that one of the things about. Poetry or any other writing for that matter is is. [18:54] There needs to be something that kind of nickels that you will get that you will buzz you a disturbed you or possibly worse and. And then you need to see what you can do with it so. [19:08] What are the things to is that you often start with a kind of in a kind of inchoate mess don’t you haven’t every life the universe and everything about that are you going to choose you know so you write a poem and then shake. [19:21] I think I think I forgot that part of another sequence I think I first row. The poem about my system taking me beforehand and. So then I thought more programmatically about that well animals and slaughter actually you know what how have I.
yes more or less sort of saying I got it wrong the first time. [20:05] But I think something has to tell he has to really be there you have to be sort of. [20:13] I mean yes you can in the sense disco well I’m going to write about anything and then you just sit there and you work on. Your language until it becomes interesting and have to be interesting if you’re not going to if you’re not going to sell for me that’s that’s key. how you do it I think I think there’s a big Continuum between those two extreme points and when I think car everybody really. Occupy some plants along that continued Continuum and so I think people are interested in experience and intense experiences and so I guess I would say. about the game ask if they can’t wait a culture that I grew up in and that still exist in some way and you’re very good on the water culture I must say will talk about that in a minute but do you find it cathartic. Writing about those childhood trauma. really quite keen on by the psychoanalyst. infant development for the most part but but he’s saying that play and I think. is away is this kind of third space between you your own subjectivity your own internal world and the external world and you can get a kind of. through play and so plan away is about loss and loss of the. In the first instance the loss of contact with the mother or the parent figure. So yes I think to some extent you can I don’t know if I do the work catharsis but I think it is useful and I don’t think I would do it otherwise if there wasn’t some sort of. so is every poem an active play I think every time you play. As as the history of art show is is incredibly diverse tend to have that. but I think it’s called creativity then I think that. the outcome can be good in that I think you have in somewhere psychically dealt with something but having said that I think the idea of Closure or or or even therapy. [24:35] Does that mean that I’m now over it no not really no sorry I think there are limits to what. Creativity can do but having said that I’m glad I write those poems and I’m glad you did they give us a really. [24:54] Thoughtful Insight I think into that experience and the hospital experience the pain Xperia that’s what I was kind of about really was more about the hospital experience than anything I suppose and I didn’t want it to be. every poem has some kind of document in it whether it’s a novel or something like that say something not by me because. but also because they they have this marvelous out of Darkness mixed with comedy about them and I think that. With something that I wanted I didn’t want to wallow in the situation but at the same time I guess the darkness was speaking to them situation I don’t know. [26:34] Loving isn’t that the power of of words and isn’t that what Poetry in fiction novels it really about about. Giving you inside but also as a kind of touch tone of your own emotions because there’s readers surely we bring. Ourselves to the different forms of writing and. [26:56] That’s why so subjective because of course we bring ourselves and my experience of particular book may be very will different from your experience depending on my circumstances my history you know. So I Minix reading such a personal experience in that I mean you do it. I mean if we’re talking I mean we are talking reading hearing so you do it by herself yes it’s silent. innocent colours or send sound and I don’t think it has to it always be about some no. that is actually a privilege I think in many ways a lot of people are probably will never even occur to them to pick up a book of poetry. No that’s right or increasing these days that’s across social spectral SBS I think I think there has been. [28:46] A general sort of suspicion of poetry is being something that’s too hard too difficult than on standard and that’s kind of even reach to the point of. Teachers Sydney school teachers so that. It becomes increasingly hard I supposed to engage younger audience and and so you have you ever dwindling audiences of course I mean there are always young people who are taken by the. The intensity in strangeness that poetry offers the one that I think it’s poetry so is poultry still relevant today absolutely I’m and I think it’s is relevant as string quartets or movies I mean you know. [29:33] Who’s to say what’s relevant in For Whom I think and there’s I say there is such. 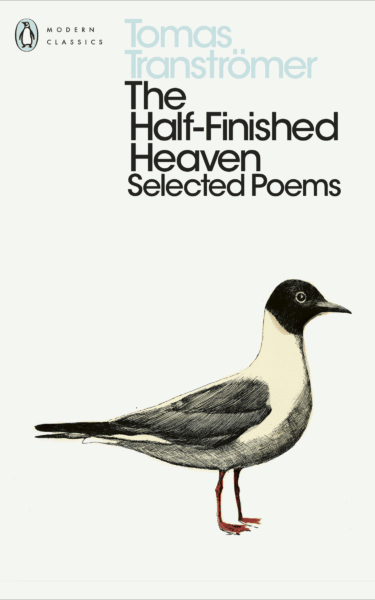 just in Australia without looking at other english-speaking countries such an amazing variety of poetry roundish if you want to go and look for it that I I can’t imagine that it’s not in poetry poetry. I’m actually one of the one of the projects I’m doing as an academic is looking at the. crops up in in strange wait as a kind of ambiguous vitality and I culture sorry for instance at moments again of intensity such as weddings and funerals it’s often often quoted so that is sort of V.
all the time they’re getting married they want a poem at their Weddings and a Funeral or whatever similarly at intense more public times poetry can become important so. most of all buildings in. Four Weddings and a Funeral which has doubled WH auden funeral Blues which wasn’t really written as as an Elegy was first written it was written for. cabaret songs actually it was just too sad song in the sun and it has a very interesting cultural history anyway but it does get username amazingly powerful Queen song. But they’re all sorts of examples of poetry turning up in a very mainstream movies. nevertheless has this as I so kind of ambiguous vitality and m.
[32:22] Pops up in interestingly so it yes I’d say it definitely is wrong. I think that’s absolutely fantastic kind of explanation and a wonderful kind of highlighting of. How poetry actually does enrich our lives but often in. Subtle ways we’re people cats aren’t even aware that Boa treatment about modern life and especially bout the modern environment. Which I find and you do it. [32:51] Really well you know you have a wonderful way with figurative language and metaphorical language and you know you have. Fantastic come moment the cat slide roof you know. [33:08] But I don’t always know quite what you mean you’ve got an ending of a poem about the wombat. imagery in the way that you might use language that you know most feel good inside a put those words together which is precisely what I used it yeah I’m trying to. Come up with new interesting you know Jack positions images whatever and that’s that’s what you know most poets to do or. Novelist for that matter I mean you want to produce a sense of IMAX other things you want to produce the sense of surprised if it’s a new way of seeing things. The wombat of pain I’m in that was a phrase that was looking for a poem for years I just had that sitting around. several times Anthology so yeah I really yum. [34:21] You got some really clever moments in here but sort of evocative but what I find extraordinary to is the is a familiarity so it’s as if. You managed to encapsulate in a few words something that is instantly recognisable that do reader cutter goes off course. That’s good if I can do that that’s that’s great too I think being able to so there’s the surprise issue but there’s also the yes of course other things as well but getting back to the not quite understanding I’m gonna think that sexually. That actually key for the experience I mean you looked at. [34:57] It’s an interesting thing and I think it’s back to poetry employee language and we are such an instrumentalist had to call view of language in it does things you know that allows us to make tables or whatever. But but poetry plays with that to the point where it starts to loosen itself a bit from it’s moorings of meaning if I can use other for and and that’s. send the poem the poem should resist the intelligence almost successfully so there should be some kind of. [35:36] What is going on here feeling for I think I think you know people look at rothko paintings or listen to some music. [35:46] What is that mean you know I’m in the aesthetic experience is. right so is that one of the paradoxes of poetry that in fact this idea that it’s meant to have. Moments all parts that are hard to understand the challenge our understanding when in fact people want to be able to understand they want the meaning to be there for all they want the meaning to be. So that they can read the Poetry and just sort of get a simple pleasure from as well there’s a bit of it like a Tennyson poet poem perhaps where it’s a sort of a lovely story and lots of easy rhymes and you know there it is. 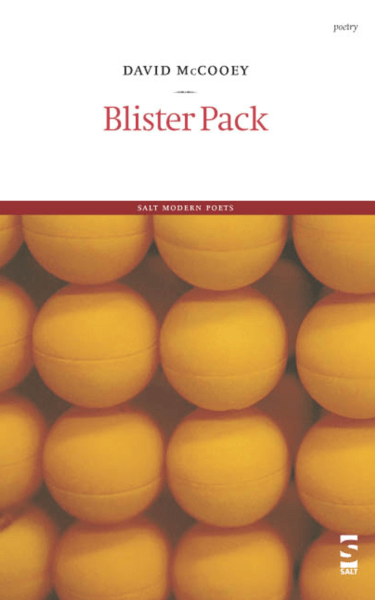 is that the paradox of poetry that in fact one of the reasons become marginalised in the modern world is it it can be difficult one that requires elasticity of the mind and the end and some work perhaps. Instagram poetry emoji look I think you’re right I think difficult issue. until June employed traditional Harmony and so forth. [37:49] Similarly modern or contemporary poetry often also kind of reject those sorts of traditional. Forms or whatever or plays with them I think more is that is a more accurate looking at it but look yes is. Just battling I think there’s no doubt about that other poetry though. and she often writes about you know the natural world things like that never listen I’m sure that some people would still find her difficult and that’s because I think of the. with poetic traditions conventions so I’m sorry if you if you took someone who’s never seen Hollywood movie at than just at the age of 30 showed them you know something. They probably go what is all this about the point of making you we we tend to naturalize things like movies. [38:58] But that’s because we have actually forgotten about how much we’ve learnt about them we understand conventions about films like you know close up spanning. How how editing work early day is a film that the first kind of mage I can’t remember which furnace was a motivator WG Griffith Phil. how literate we are now in filmic language but we don’t have that same country literacy and poetry anymore. in the great poetry so to the Bible to Shakespeare if you’re after shave or to Milton all done and he talks a lot about the thought of that important and gives a lot of example you know of specific. you know the Bible even if you want to religious person you understood you know you knew the Psalms you knew The Song of Solomon the book of Isaiah and you understood that incredibly rich. I agree with you I think difficulty is actually part of and this is something that I was. literal language is difficult because it. the automatism of perception so we ca watch we don’t think about it or knife and fork whatever but literally language. [41:52] He’s understanding it makes things difficult rough and things up and summer like Emily Dickinson as a good example and she is writing the midnight century so. automatism of perception receptors looking at things in an automatic way it’s it’s like a refreshing. but somehow you managed to imbue it with a meeting takes it well Beyond the every day which I think is a real gift. Thank you I think for me one of the key sort of. Aesthetic experiences is the uncanny and the uncanny isn’t just something that scary but it’s. Nephrite talked about in his essay on the uncanny Annie and German is in Homebush which means unhomely. and I really love that isn’t experienced and that’s what I liked about movies and and and fiction and poetry is well which is. Very suggestible so at the end of watching a film often. My wife Maria takolander who’s also writer and we often say it we feel like we’re in that particular film so. [43:42] The uncanny is it is in a sense. so yes it’s called landscape / sucky so there’s a confusion going on as to whether we talking about. The outside world or the internal world so that the game brings out that when it cotton or shorter shorthand for poetry is. [44:34] Hear modernity is a rumour the eucalypts untidy is logic. [44:41] Anarchic birds and their noise both wanting to be somewhere else. [44:46] The sun bald atheists making everything seen as it is somewhere there is water secrecy made Audible. [44:56] The bliss of long grass inhabited by Breeze rocks and their values. [45:02] Somewhere silent in its burrow hides the wombat of pain. pagan sun worship the solar worship all of the things that predated Christianity and other religious forms you know. [45:33] Yeah water secrecy made audible it’s just. [45:37] I don’t know how you do it rocks and their values of use only thing we actually I can see you soon better than rock value and then there’s all those sort of. Limitations of solids of rock on this Rob you know all these. can never be fully aware of One controller and of course the writer is the first read of the palms well. But in terms of what you were saying about you know paganism and so forth I mean I think one of 1 other things about. Harold Bloom are you talking about the four is I think. [46:26] I think he’s right I mean clearly you know tradition literary tradition was very it has been very important but particularly for modern poets. Everything innocence is is available to us for an alluding to or. paps to off those shackles to a degree where you now say what form everything’s available but perhaps it wasn’t always. I think if you look back over time even within those supposedly traditional things. 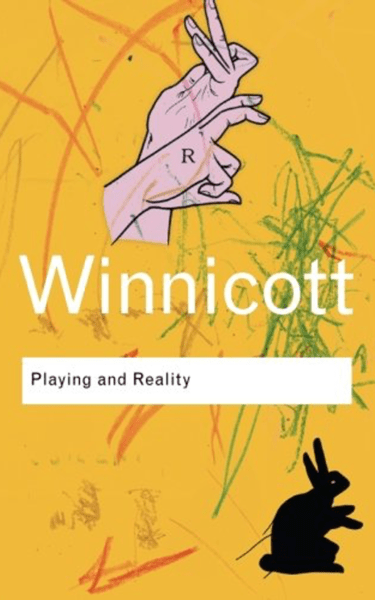 words with a colour in their first collection which included both it poems was called lyrical ballads and you know that was a kind of supposedly revolutionary statement and as much as it said. [49:21] There are no inherently politics subjects and that was a kind of 18th century idea that you wouldn’t you wouldn’t talk about in a bag of or something in a poem because that was. but I think he has his moments this is from a section in Starstruck. [50:05] Recent and cello Facebook yes and the. What is the section called parcels of course that’s right. in at least two Virgil neoclassical time we’re in that mode. Basically is presenter sort of idealised artificial view of. sick cows and stuff like that I read a poem about. I read about a film about the Beatles secretary which I subsequently simulator. and probably suffered because of their but they also marvelous things like I looked into. Stevie Nicks who is she’s also from Fleetwood Mac and she went to Arcadia high school now Arcadia is like the preeminent. Classical parcel place so all of these lovely little things just started popping up. I’m an Elvis with another one I mean he’s you don’t really think of him as being passed through his obviously pop music general in some ways kind of. an overhead line which is how to be a better Elvis that’s probably the best thing about the poem actually about however in parks which is a rules town in New South Wales they have an Elvis festival. so all those things can’t came together and better or worse over at this poem called how to be a better Elvis. [53:06] The Parkes observatory surrounded by sweet and alien ship listens to the stars. [53:13] The town statue of the founding father looks to be singing or preaching and oversized book in hand. [53:20] In January the Elvis festival herds in the overweight man the Priscilla look alikes the memorabilia is promise of a golden age. [53:29] I’m not interested in the Vegas era I return each summer like an old time itinerant. Getting younger every year reaching back until I find that boy and I to blow shotgun Shack crazy for music and listening for God. thank you not really is you have it strawberry way with words so. the way in which certain colours work against each other all the way and which words work together is is about. resist you language does the same ok that’s brilliant yes that’s really helpful and insightful I think I’m that really. Is a much better run. [56:05] Understanding what he’s really saying that yes because it does doesn’t it and I’ll go to say that about language because how do you select you know English has Abela 500000 word vocabulary it’s one of the biggest vocab language you now world. And answer how do you select. All the available words and so many of our words have so many synonyms or one word can have so many meanings the word set for example I think as you know more than 40 meetings so how then do you. Pinpoint the word that is the right word. And is it about that is it about getting the words in finding a find the right word then getting them into the right order. Yes I suppose that’s why I’m putting it I mean as your writing. [56:55] You generally aren’t thinking at that level in the first insta first the first draught amoeba in works differently. [57:04] But I’m often ok with this putting word down thinking. Have a better one later I mean that happens a lot of course a lot of time but I guess it’s like you know I can prove it. Composing whether the person is it a keyboard or a computer on with some paper. [57:23] You don’t think right now I’m going to you know. I mean I think one way is that there are so agree with. if you know was over in just a bit over 7 years that lesson 7 years we should just extraordinary if you think about it. sometimes it affects the certain kinds of production techniques all of those things obviously. I mean it wasn’t as if they could have written pennylane in 1962 but they just chose to write I Want to Hold Your Hand. So there’s that available to them they didn’t have the material yet affordances if you like and also. that’s what I was talking about before we are all of all of the things you watch you read but also to be the kind of networks that you might. you know getting say a commission to write something will have which is very different from just sitting around waiting for quite as inspiration 10 organic experience. [1:01:06] Required to do so that’s wrong she shift the whole. mirrors slowly avail themselves of the appearance of things I love that Hans prick like Middle Ages. 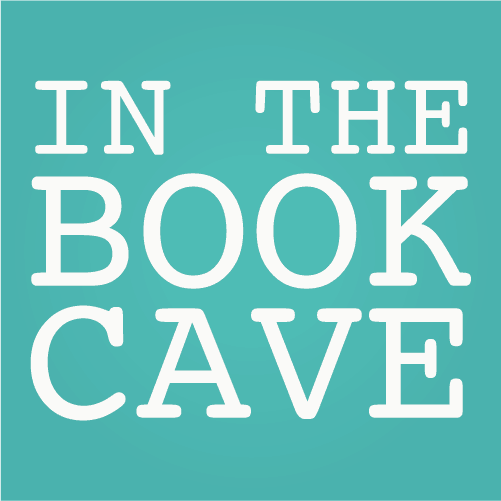 show us the names of the three books that they’re going to contribute to our virtual Time Capsule allow book cave in the books that you would like the world to read 1000 years from now. [1:02:19] That’s great idea the virtual time capsules terrific and as someone who innocence reads professionally. 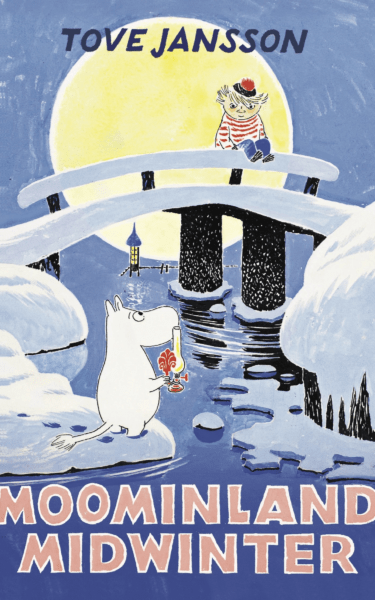 whatever I’ll go with that so my first book is over janssens moominland midwinter. this book in particular cause as a series of moving the movers reviews little so hippopotamus like creatures to live in Gmail. there such profound truths and and Anna strangeness too so I don’t think there’s a facile bookstore know and this one in particular I read it to my son is about 6 or 7 and there’s a. [1:03:52] Is a chapter window the lady of the cold comes along so is this very very talking you know being close to the top of the world near the polarised Kate I’m so winter for the moon. As extreme and I’m fat sleep through winter one of the moment wakes up moving troll Moomintroll. And so the lady is a call comes like an atom massive effect on my son so I think I think that is an extraordinary book and I think. combination of text and illustrations. [1:04:44] All the hem ulan-ude snake the characters are amazingly how fantastic. 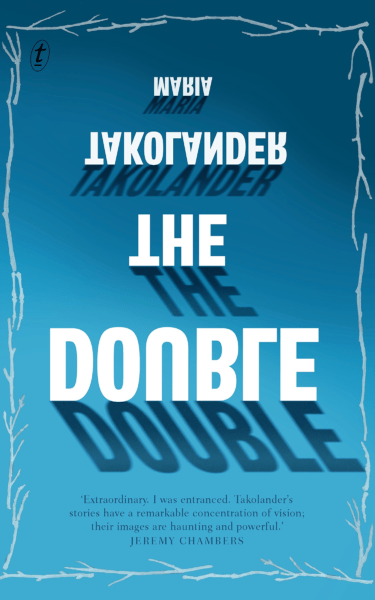 So that’s the first one another book in Translation. Is Tomas transtromer selected poems he was Swedish and another winner of Nobel Prize not 70 years ago and checked. red team about 6 years ago after him being a name that just been for the floating you know how these all these names later and I’ll get on to that one of vitamin E has the spare. Extraordinary sort of against the Scandinavian aesthetic no. Trees ice water. [1:06:09] All of that but also amazing amazing use of imagery is his use of metaphor I think is. and then I got completely young nepotistic and chairs. just the most extraordinary collection of short stories that the first section which is longest is made up of. kind of allegory about about masculinity and patriarchy and all of the stories have. [1:07:30] Got their titles from sun and the collection itself because it was just a rescue at a book called double. There are various other books,. So it is very much in touch with literary history but it’s also very an iMac something I was trying to say before we talking. Is that there’s always this tension between. In a tradition and originality for want of a better word that you take things that exist but you try and make the something that’s what happened. we will have to read them basically but she gets all quiet cereal an absurdist and. without wanting to get into review cultural straighter cause that’s another issue just didn’t know what to do with them and anyway I think a publisher wasn’t sure either because they have a soft pedal that as well. But time those for short stories that the collection is a whole whiting absolutely stunning into the book cave. I’ll leave you with if we can get a ring and patchy can talk about all of the stories in the dark. [1:09:04] But it’s been an absolute pleasure and privilege having. 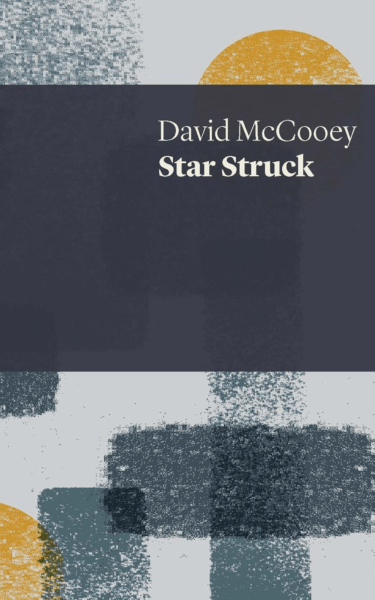 [1:09:09] Prize-winning poet musician at the editor academic and delightful guest davidmccooey in the book. [1:09:19] Thank you so much.